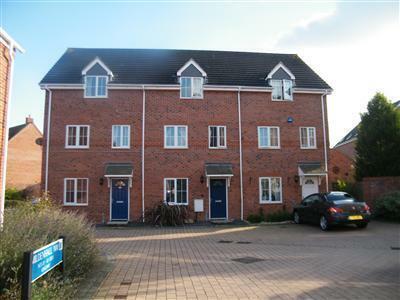 4 Bedroom Town House For Sale in Gloucester for Offers Over £220,000. This versatile family home offers a flexible layout and makes an ideal family home with large bedrooms and living space. The property accommodation comprises entrance hall, shower room, two bedrooms and large utility. On the first floor duel aspect lounge, storage cupboard, a light and airy fitted kitchen/diner. The second floor offers master bedroom with walk in wardrobe and en suite shower room, family bathroom and a further double bedroom with fitted wardrobes. Added benefits to this property are gas central heating, enclosed low maintenance rear garden, garage and driveway parking to the front of the property.